FireFly meets FAA requirements for obtaining a waiver of the Part 107 Daytime Operations limitation. 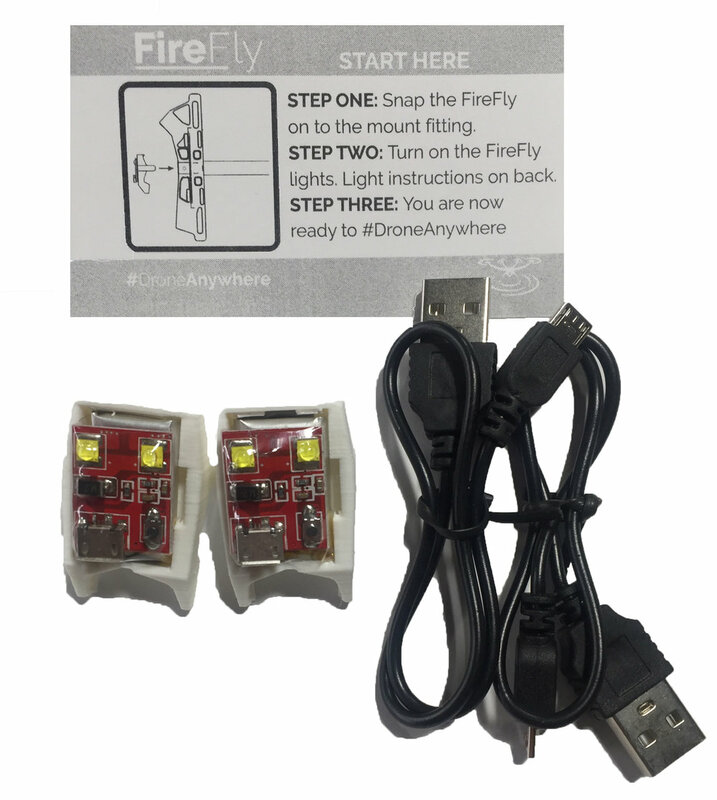 FireFly uses the popular “Dual” Model Drone Strobes from Firehouse Technology. The FireFly attaches to any existing WaterStrider 2.0 or TerraStrider. Combine the ability to fly at night with the confidence to land anywhere. The “Dual” Model Drone Strobes from Firehouse Technology mean the FireFly flashing pattern can be adjusted with the press of a button. The on-board batteries of FireFly can be recharged within 90 minutes using the provided USB cord. The “Dual” Model Drone Strobes from Firehouse Technology ensure that FireFly keeps lighting your drone for 2-3 hours from a full charge. FireFly snaps on to any WaterStrider 2.0 or TerraStrider mounting base. Snap on FireFly, press the ON button, and you’re ready to fly. Just like the thousands of existing DroneRafts customers, we are so confident you'll love FireFly that if you're not happy with it, you can return it within 30 days for a full refund.